Behind these historic sandstone walls beats the heart of a warm neighborhood pub. Between glittering corporate events and busy lunches, it is home to many locals of Pyrmont & surrounds. Boasting a spacious & stylish watering hole with warm decor fit for enjoying cocktails, select wines and bistro dining. 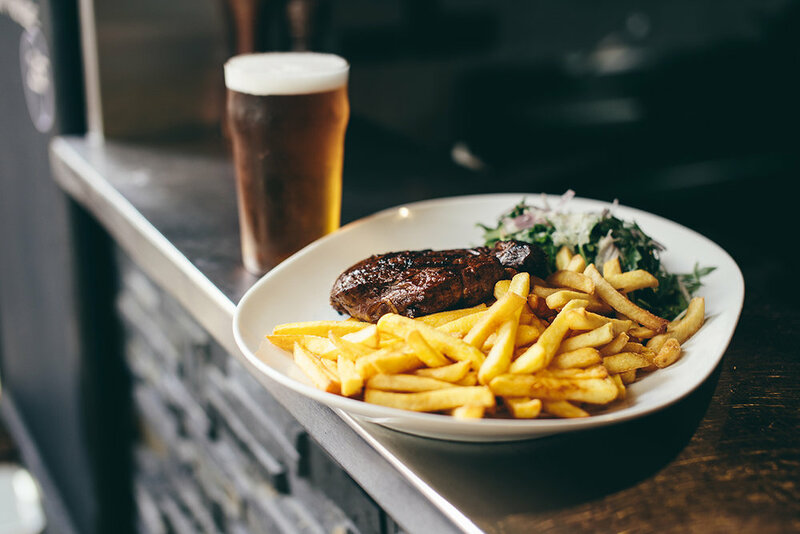 Pyrmont Point Hotel is your favourite local. Down towards the Blackwattle Bay end of Harris Street lies Pyrmont Point Hotel. Sitting in the heart of historic Pyrmont, our multi-level venue features four main areas, balconies, a bistro, a sun-filled courtyard & three function spaces available for private or corporate use. 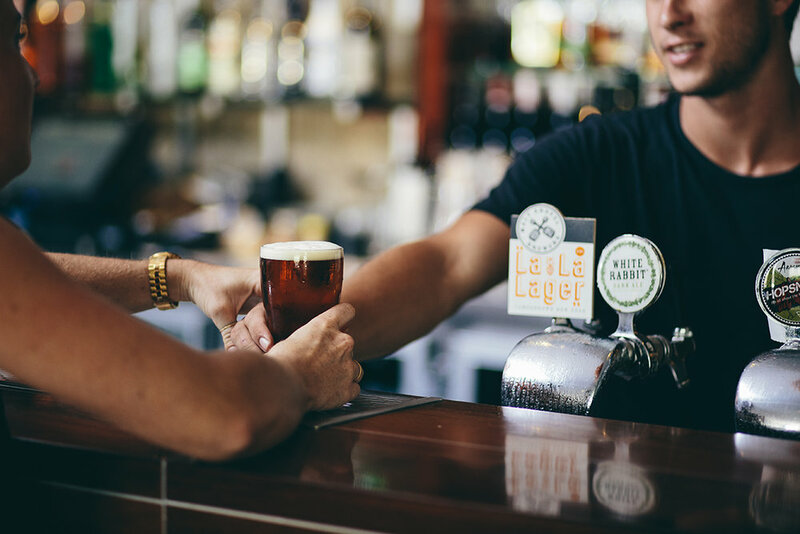 The public bar has all the hallmarks to be expected from a heritage-listed pub, complete with timber panelled bar and relaxed seating. Head upstairs to the hushed surrounds of Margot’s Lounge, where there are plenty of ottomans & a large fireplace, dine in our light-filled, enclosed Verandah, or sip on cocktails at the Karma Bar as you look out over John St Square. Our extensive range of local craft and international beers, spirits & fine wine make for the perfect way to enjoy a drink in our beautiful courtyard while soaking up the sun. Bring The Kids .. The Easter Bunny may have dropped some Eggs at the Point ..
NRL Season Kicks off Thursday 14th March - Join our Tipping Competition! Come in to Register for 2019’s NRL Tipping Comp. First Prize - 75% of prize pool + points match on your Membership number. Second Prize - 25% of prize pool + points match on your membership number. Pyrmont Point Hotel is proud to be supporting Sydney 2 CAMberra ride, who are fundraising for Stillbirth Foundation Australia by providing a silent auction prize for a private dinner for 10 people in our Margot's lounge. We wish the riders and the S2C team all the best as they strive to achieve fundraising this year of in excess of $300,000! oRIGINATING FROM THE UK, RHYS ELTON GREW UP WITH WITH PUB BLOOD IN HIS VEINS. HIS FATHER OWNED AND OPERATED HIS OWN HOTEL- SOMETHING THAT IN TURN WOULD ECHO HIS OWN CAREER. RHYS BOASTS 12 YEARS OF INDUSTRY EXPERIENCE; 6 OF WHICH SPENT IN VARYING KITCHENS ACROSS SYDNEY. HIS TIME IN AUSTRALIA CAN BE REFLECTED IN HIS DISHES; THE ESSENCE OF MODERN PUB CLASSICS MINGLED WITH CONTEMPORARY TWISTS OF LOCAL FLAVORS. RHYS HAS A FEW SIGNATURE DISHES HE IS KEEN TO BRING TO PYRMONT. MEETING WITH NEW SUPPLIERS, FISHMONGER & BUTCHER , he has started afresh - giving rebirth to our kitchen. WITH A KEEN EYE FOR DETAIL AND STRIKING PRESENTATION, RHYS SEEMS SET TO ELECTRIFY OUR MENU AND PROVIDE A HIGH CALIBRE OF DAILY SPECIALS. EAGER TO PLEASE HIS AUDIENCE, RHYS WILL BE VERY OPEN WITH PATRONS TO NOT ONLY MEET THEIR EXPECTATIONS BUT TO ALSO DELIVER AN APPEASING MENU TAILORED TO OUR LOCAL CLIENTELE. KEEP AN EYE OUT FOR OUR UPCOMING SPECIALS AND PLEASE FEEL FREE TO PROVIDE ANY FEEDBACK AS HE CREATes OUR SEASONAL MENUs BASED ON YOUR CRITIQUES. NOT ONLY PAIRING THE FLAVORS OF THIS DISH BUT ALSO ITS COLORS IS SOMETHING RHYS MANAGES TO DO WITH EASE - THE VIBRANT YELLOWS OF THE SPICED PUREE PAIR PERFECTLY WITH THE BEAUTIFUL MARIGOLD BLOOM. THE SALSA VERDE KEEPS THINGS COOL WITH THE FRESH GREENS OF THE SNOWPEA TENDRILS AND OFFSETS THE BURGANDYS OF THE CHORIZO AND SEARED SALMON SKIN. A TREAT FOR THE TASTEBUDS AND THE EYES.